(from left to right) Eric Paine of CDP, Mayor of Salem Chuck Bennet, Oregon State Senator Peter Courtney, Rich Rodgers of CDP, and Governor Kate Brown planting a pear tree in the community garden. 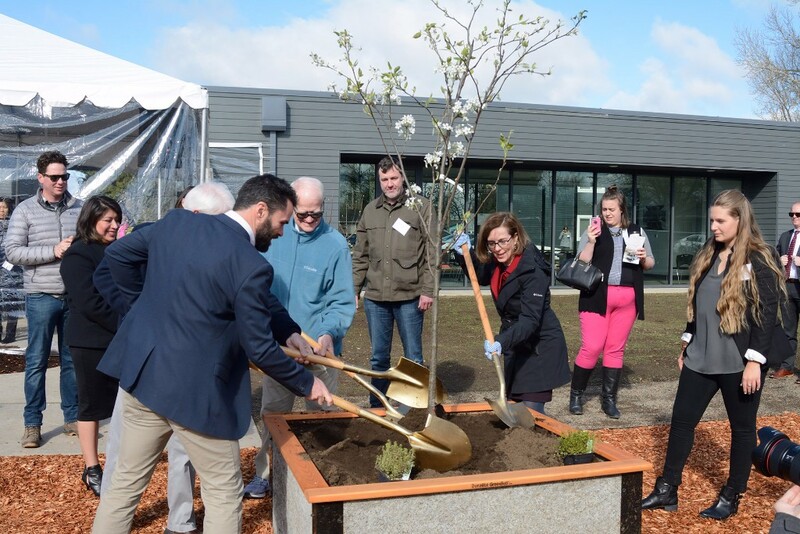 Earlier this month, we were honored to have Governor Kate Brown, Salem Mayor Chuck Bennet, and Senator Peter Courtney participate in the official opening of Waechter Architecture's affordable housing development, Fairhaven Gardens. Working with Community Development Partners, Fairhaven Gardens provides residences, a community center, and a two acre garden to residents making 60 percent or less of Marion County's median income. We look forward to continue working with Community Development Partners on future initiatives to create housing opportunities for low income families and communities. You can view more photos and information about the project here.